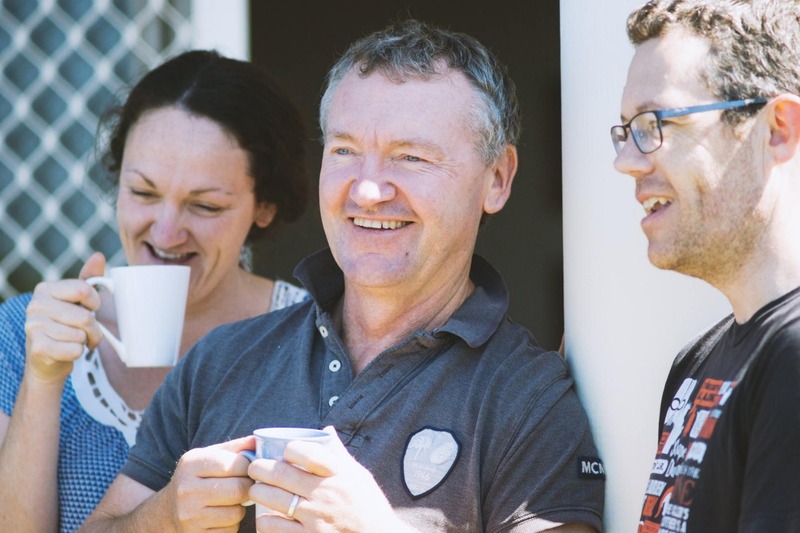 There are hundreds of great stories to be told about how our Field Staff are impacting the lives of Australians – Christians and yet-to-be Christians – and we try to share them with you through The Real Australian and our twice-yearly appeals. You would have recently received our Christmas Appeal in the mail. This appeal features stories from the Southern Beaches of Tasmania and the heart of the Pilbara. God has changed the life of Lucy Lester through the work of Jamie and Claire Bester (pictured above) and their church plant in Tasmania. Lucy had isolated herself for nearly four years before Southern Beaches Anglican came along. Right from the beginning, Jamie and Claire made it clear I was supported and part of the family. The Besters have a church that is humble. It gives access to the fruit of the Spirit by encouraging each member of the family to play to their strengths. They also make themselves accessible by being real and sharing the bumps in their road. It’s comforting to walk under the guidance of a family who don’t brush hardship under the rug as if it’s a failure and not faithful. They really have a great gift in encouragement and shepherding. This man said he wasn’t a man of faith but wanted to know if the wrong he had done would be used in judgement by a ‘greater being’. He seemed very worried about a God who he said he didn’t believe in. I spoke to Ephesians 2 – we are all dead in our sin and that it is only by the goodness of God that we are forgiven through Jesus. Every week I send him a text message and one Sunday he turned up at church saying he needed some perspective. I was preaching on the burning bush and he told me that God’s word had spoken to him that day. It is stories like these that remind me of the great goodness of God and the blessings of your prayerful and financial support. Reaching out in Christ’s name across the bush continues through your partnership with us in Christ.